What sounds better than going to Banoi’s Royal Palms Resort? A resort that’s…full of zombies! This RPG FPS game is pretty fun, though a bit disappointing in all honesty. It’s still good though! Good, but still full of possible bugs and errors that you may encounter. Some are worse than others, but you can fix some of these. Until then, you can await a patch or several patches that try to tackle these. One nice thing about the game is that it has 4 player co-op — just FYI for those who enjoy playing games with other people. Then again, you probably know of this feature already and that is why you’re reading this article. In that case, know that these game fixes are for the PC — not the Xbox 360 or PlayStation 3 (PS3) console versions of the game. So if you just bought and downloaded the game through Steam, then you’re in luck! Troubleshoot your problems with our guide below so that you can begin destroying zombies in epic battles as soon as possible with the best performance possible. To do so, simply extract the file, locate your Dead Island folder in your user’s documents folder, where your audio and video settings are already saved, and create a “Data” folder, a “Skills” subfolder, and place the default_levels.xml in the skills sub folder. Open the file, edit away. create the folder if you don’t have it. Some users are experiencing ridiculously LONG load times when doing things like loading the menu, game, etc. It can literally take over 5-10 minutes for some people. Oddly enough, this may relate to error logging that is done by the game. This will prevent the game from writing data to the log because it is no longer writable (hence Read Only). Oddly enough, this may fix your long loading times. Note that you may want to set your audio.scr file to “Read Only” to prevent it from reverting if any modifications are done to it, though many have not experienced this. This may be YOUR fault! Especially if you touched the GAMMA settings, then the colors may just be over saturated. Put the GAMMA settings back to default even if it looked good when you adjusted it in the options area. There is also an issue with the textures stretching on a higher resolution. We have on fix for this one … yet. But if you know of how to solve it, then help out — please do comment on the solution! Thanks. Have no text showing for your Dead Island menu? The fix may be so simple that you’ll laugh in frustration. Change your Regional Settings and/or System Locale to what you use. For example, English (United States). Easy fix for a big problem, huh? If your keyboard or game controller are not working (i.e. Xbox 360 game controller) then try the following. Click ‘Set up Filter Keys’. Click ‘Turn on Repeat Keys and Slow Keys’,and then on ‘Set up Repeat Keys and Slow Keys’. Select the option to ignore all repeated keystrokes, and reduce the time option at the top to 0.0 seconds. Ensure that ‘Turn on Filter Keys’ is ticked at the top and apply. Dead Island now runs smoothly, when you’re done, untick the box and apply. Be sure to revert the settings back to normal when you’re done playing the game. –- On the Windows Start bar, go to Run > type in “DXDIAG” > click the Sound tab. Under the “DirectX Features” area drag the Hardware Sound Acceleration level from Full Acceleration to NO Acceleration! -– Sound issues are most common when using a speaker setup higher than 2.1 (i.e. 7.1 or 5.1 or headphones even). Changing your stereo configuration to a basic 2.1 may fix the game sound problem for you. Note that you should revert these settings if they do NOT fix your problem OR if they do fix it, but you’re done playing the game. This will ensure your audio is back to normal after exiting the game. Game crashing (even C2D or CTD) can be caused by many things so it’s hard to diagnose. Still, we have some solutions that have worked for us and other people that we know. This includes fixes for launch failures or when the exe fails to launch in general. This entry was posted	on Friday, September 9th, 2011 at 5:44 AM	and is filed under . You can follow any responses to this entry through the RSS 2.0 feed. You can leave a response, or trackback from your own site. Thanks for this, but i’ve got another problem, maybe anyone knows something about it? Quiting didn’t help, any ideas? That is…a pretty odd problem! Haven’t heard of that happening to anyone just yet, but I’ll let you know if I figure anything out. Windows key + P and switching to “Computer Only”. Great job! This helped me a lot, but I am still having problems. I have done all you said in regards to the crackling, and I’m still getting it. My headphones are updated to the max, as well as my sound card. I am frankly running out of options, got any additional help? The primary quest bosses and actions either take a long time to appear (several minutes), or don’t appear at all. Eg – the bomb on the door to the bunker never went off, so I wandered around until I fell off the cliff and died, and got the ‘complete’ message. Fair enough – at least I got to move the story forward, but now I’m trapped in the tribe’s arena and the ‘bosses’ are just hiding in their caves, shrieking. I threw some grenades into their caves and did some damage, but now I’m out of grenades. Just standing around. Can’t get out. Sux. Any thoughts? Can i play the game if i have a Mobile Intel(R) 965 Express Chipset Family graphics card? That “Trial” voice is actually another program. Are you using Virtual Audio Cable or similar? Because I have had that voice before and I know its some audio program NOT the game itself, try turning off/uninstalling some of your audio editing programs until it goes away. I am pretty sure it’s Virtual Audio Cable although I might be confused with another program. When I start the game and the letter ´Press any key to continue` which I guess it says there are strange symbols instead of the letters and the same thing is in the menu. what should I do? i did everything still when i launch the game it will be just a black screen but has audio. i have only one monitor…. 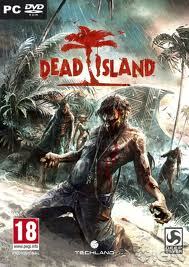 Hey , when I co-op with my friend , the dead island will come out a stopped working ?? what happened ???? can somebody solve my problem ? But where I can find that Regional Settings and System Locale for menu without text, evrybody speak about it, but no where to find it. So I’m trying to play this game on my laptop, and I know for a fact that I should be able to considering I was able to play Skyrim on my laptop. I’ll go to Steam, the shortcut, and even directly where it got downloaded to, and play the game. It starts up showing the Dead Island logo for a brief second then my screen goes black and I can hear sounds and I can interact with the game, but there’s no picture, just blackness. Then when it gets to the main menu, after I hit enter enough times, not sure if it would do it pressing other buttons, it says that Dead Island has stopped working and needs to close. How can I get past both these problems? I already tried starting it up without anything, including my power supply, plugged into my laptop. YOU SAVE MY LIFE MAN! THANKS, OBRIGADO! I tried ALL your tips to get higher FPS, but i still only get 1 FRAME PER SECOND!Please help):. If you are getting only 1 frame per second, there may be an underlying problems, as that is no normal lag. What hardware are you using?